See new toys of Kmart Catalogue in this post. 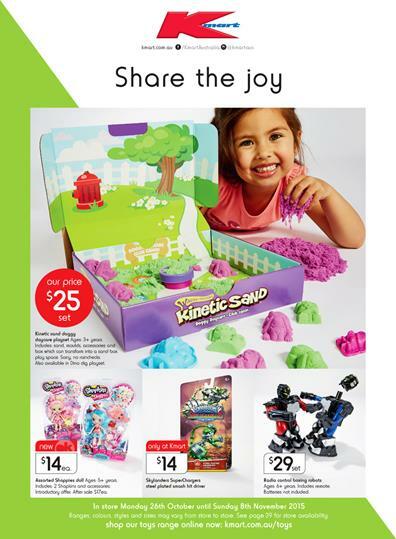 A very good product range of the Kmart Catalogue Toys 26 Oct 2015 featuring low price range can be your chance to save in this kind of shopping. Super character figures that children love are available on pg 2&3. Not expensive, joyful, popular toys in these pages will be center of this catalogue. Star Wars LEGO toys are heavily highlighted offers of pg 4&5. LEGO variety includes Friends, Ninjago and similar toys are also in stock of Target. 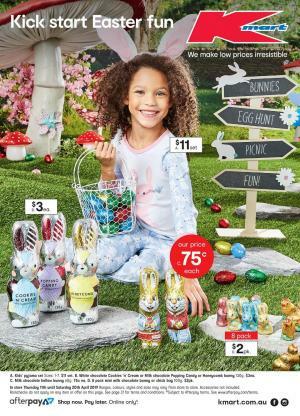 For more information and products please go to the preview of this catalogue and other catalogues like ALDI and Kmart can be profitable shopping in case of toys. You can have your wardrobe renewed with using the latest Kmart catalogue product range. Check out this product selection consisting of shirts, tees, shorts, canvas fashion, shoes, kids clothing and more. Kmart Summer Mens Wear 19 Oct was published last week. All the items are available online on the official store of this catalogue. T-shirts featuring printed fashions that are available on pg 11 can be your alternative option for new season. Details of price information and product range can be seen on these pages. Check out casual clothing for men. These are addressing those who are seeking cozy and stylish products. Men's casual shoes is also sold separetely. You may see these on this page. Find more t-shirts on pg 13. Tee, v-neck tee and other styles are featured on the pg 13. Print t-shirts of Transformers, Terminator and Rocky. See these t-shirts priced at $12 ! Summer footwear consisting of thongs, sandals and canvas shoes are featured on pg 15. Special price is $15 for these cozy and high quality shoes. Kids clothing featuring girls' and boys' summer fashions are heavily highlighted on pg 16-19. Incredible offers by Kmart for irresistible prices and high quality clothing products are all waiting for you on internet shopping of Kmart. See all of these offers with this catalogue. Kmart Catalogue Clothing 8 Oct prices for womens maxi dresses, summar casual clothing, shorts, footwear, swimwear and men's casual clothing are available for all online customers. Check out extraordinary fashion at Kmart Catalogue on pg 4&5, cami, tee, shorts, printed tanks and sandals pg 8&9. Also sports wear like t-shirts, stripe boardie, shoes are available on pg 8-11. Kids' clothing and accessories are featured on pg 16-20. Variety of footwear for summer on pg 9 is again a sign from the old school tailoring. Large base heels, white color, and single color stripes of the sandals make everyone recall the old days from 70s and early 80s. Women's sandals $20 pair, $12 pr, $20 pr. See variety of colors, sizes, types and fashions on pg 9. For more products of Kmart Catalogue clothing please go to the preview page of this catalogue. With the address linked to the main page of this catalogue you can reach all the products. BABY Terry Growsuit everyday low price is $4. You can save $0.50 with this purchase online. Back frill leggings for baby girls. Daily price for this product is only $4. High quality material in manufacture of this product makes parents calm about the health issues. Care for the health of your baby. Notice that these are everyday price range of the retailer. Target and Big W also have got many deals in new season's clothing range. Seasonal apparels, sports wear, casual outfits are all available and shoppable online on these catalogues.